Planet Earth is covered with more than two-thirds of water which is a natural habitat for thousands of different plants and animals. And with a sport like scuba diving, you can experience a whole new different world firsthand. There, in the depth of the ocean, lies amazing underwater views of spectacular coral formations, abundant aquatic plants and exotic and colorful wildlife awaiting you the moment you take a dive. However, for individuals who will love to experience this amazing ecosystem for the first time, it is normal to have doubts about delving into deep depths of water, as it is not our normal habitat and not a usual activity. Scuba diving may look much more scary or difficult, but in reality, it is very easy and completely safe. So, if you are willing to experience the thrills of scuba diving for the first time, or if you just became a certified scuba diver, the following are tips which will make your experience enjoyable and unforgettable. It is very important to make detailed plans before taking the plunge, in order to prevent serious cases such as injury or even death. Getting more information about where you wish to dive is essential particularly for beginners or inexperienced divers as they may likely panic when they are taken to a more advanced or difficult site. Diving deep and exploring corals, reefs or wrecks may sound thrilling but as a beginner, it is important to stick to your scuba diving skill set as it is not advisable to push yourself out of your comfort zone, so as not to put yourself in unnecessary danger. It is also crucial to take into account the time of the day you will be taking a dive underwater. Weather conditions and ocean wave patterns should be monitored days before your planned dive to determine the safest time to undertake your dive. For beginners, diving during the middle of the day is advisable as there is greater visibility. Before diving, it is highly imperative to thoroughly check all your diving equipment. This allows you to gauge the overall condition of your gear and detect if there are faulty equipment that needs to be changed. Consider testing your buoyancy control device by filling and breathing through the regulator while on land. Also, your snorkel mask should be checked for leaks before diving underwater. 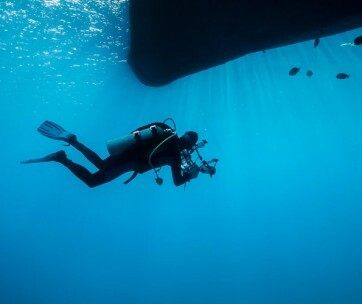 It is crucial to pay adequate attention to things such as air leaks, broken buckles, jumping gauge needles and other visible signs of damage, as they may cause unwanted harm if you dive underwater. Lastly, pack your gear in your dive bag in an organized and tidy manner to give you quick access to your equipment. If there is abundant space, it is advisable to carry spares in case of loss or damage. And of course, don’t forget to pack your snorkeling fins and your freediving watch, because they will come in handy. No doubt breathing is one of the most important things to remember when scuba diving. 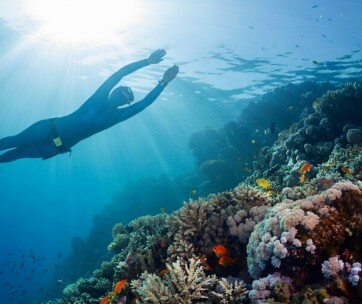 Most first time divers tend to hold in their breath when underwater; this can turn out to be highly dangerous as holding your breath for too long underwater can cause the lungs to expand increasing your chances of causing harm to yourself. When you breathe too fast, it causes friction between the incoming air and your respiratory organs which makes you use up more of your energy just to control your breathing. It is vital to remember to breathe slowly and calmly as it will help you relax, give you neutral buoyancy and also conserve your air. Breathing slowly also helps you to better manage your emotions and keep panic at bay. Breathing on land might come naturally to you but using a regulator to breathe underwater might seem a little different; so it is paramount to practice proper breathing before diving too deep. It is so obvious that diving in a group has many advantages, especially for beginners. Scuba diving with a group ensures that a first-time diver who gets into any difficulty while underwater is given almost immediate attention and assistance. As a beginner, it would be a horrible or disastrous experience if for example, you are having trouble with your gear and there is no one to help you with it. 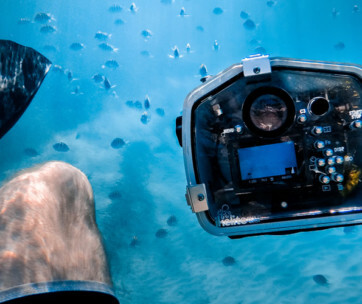 Diving in a group involves communicating with fellow divers and it is advisable to constantly communicate with your buddy or group to pass across information such as warning signs of impending dangers or just to confirm if you are okay. Before going scuba diving, it is vital to learn how to communicate using hand signals as these are the major ways of communicating while underwater. Also, since scuba diving is a very social activity, going in a group or with a buddy increases your chances of enjoying the experience much more while still guaranteeing your safety. During your scuba dive, staying cool and calm even when you are having serious difficulty might mean the difference between life and death. Panic is a major cause of accidents and injuries during scuba diving because when people panic, they tend to forget even the most basic training and end up making bad decisions. When dealing with a crisis underwater, it is important to stay calm and positive. This can be done by slowing your breath, closing your eyes if necessary and remembering your training. You can also practice self-calming methods such as meditation and breathing techniques to help you stay calm in the crisis. One constant advice that is always given to first-time scuba divers is to slowly carry out all your activities; these include your breathing and general movement in the water. 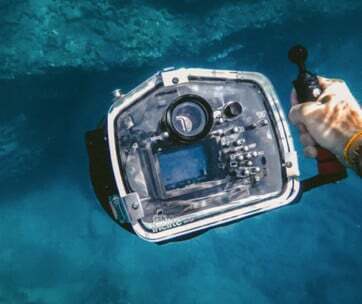 When you move too quickly underwater, water resistance builds and moving in this condition requires much more energy. Also, moving quickly may scare off surrounding wildlife and tire you out quickly. It is important to take your time while underwater and to resist the urge to go faster. Moving slowly is especially crucial when you are ascending as your body needs to adjust to the change in pressure. There is no reason to rush your diving experience as it is meant to explore the surrounding sights and sounds. Before going for your first scuba dive, it is paramount to check the state of your physical well being and be confirmed fit for going underwater. If you have a cold, feel exhausted, hungover or suffering from any other conditions that may compromise your health; postpone your dive till your physical and mental state of health is top notch. Diving underwater while you have a blocked or infected sinus can make the task of equalizing very difficult which can lead to disaster underwater. Also, you should be able to swim and feel comfortable in open bodies of water. As your dive takes you deeper underwater, the surrounding pressure increases which make several organs such as the lungs as well as your ears to become vacuum-like. This eventually causing the eardrums to feel like they are being sucked out, which then leads to serious pain, stress and can even result of in other conditions such as barotrauma. It is advisable to equalize your ears regularly when you dive so as to match the building pressure inside your ears with the pressure of the immediate environment. 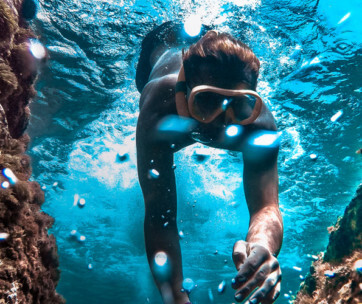 Failure to equalize when you dive underwater can lead to nose bleeding or general discomfort in minor cases and loss of complete hearing in serious cases. You can effectively equalize your ears if you pinch or blow your nose, or constantly swallow until your ears pop the air out. Equalizing, often especially when you are rapidly descending underwater, is highly recommended. It is also important not to try to equalize your ears forcibly and to discontinue the dive if you can’t equalize. 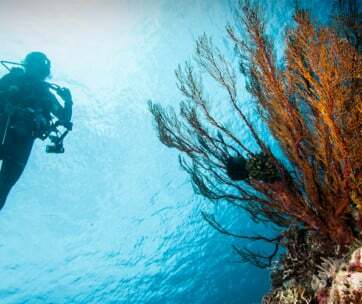 It may not be common knowledge, but there are scuba diving activities that make you sweat a lot even under water; physically exerting yourself by carrying your equipment on you, exposure to sunlight and alcohol intake, all of which will evaporate moisture on your skin leading to dehydration. Dehydration makes the blood thicker because of the absence of enough water in your system and will eventually lead to muscle fatigue, weakness, and exhaustion. To prevent this, it is important to hydrate regularly before you dive, staying out of your exposure suits until you are ready to dive and avoiding alcohol. Staying hydrated is very important when going scuba diving as it helps your body stay in top physical condition. Attaching a snorkel to your face mask boosts your chances of having a safe experience while scuba diving. It allows you to breathe easier on the surface of the water without having to lift your head out of the water. This conserves your energy and you can rest and swim at the same time. Using a snorkel also helps to protect your airways from water especially when the current is rough and stops you from using air from the cylinder which you will need for your dive. This is easier said than done especially to scuba diving beginners because at first, it feels strange to breathe underwater. Also, you are strapping on odd equipment and diving into an unfamiliar natural environment, all of which can lead to an increase in adrenaline levels, making you anxious, nervous or over-excited. If you are not relaxed when diving underwater, it may lead to unnecessary flailing of arms and feet which can lead to physical exhaustion. Anxiety also causes rapid breathing which diminishes your limited oxygen supply. Learn to relax and breathe normally. During your first few days of scuba diving, your instructor will be the most important person in your life and listening to him or her can be life-saving. An instructor is very experienced when it comes to scuba diving and can point out little safety measures which you need to inculcate to ensure a safe experience. Also, scuba diving beginners are encouraged to ask as many questions as possible about what they are not certain of before taking a dive as instructors would rather answer questions repeatedly than having you develop anxiety underwater. No Certification, No Dive! This motto stresses the importance of getting the necessary training and certification from a good dive center. Strictly adhering to this will effectively ensure your health and safety as you will be taught everything required for a monitored dive underwater. Make sure you perform proper background research before choosing a dive center as your entire scuba diving experience will depend on how good they are. A good dive center will get you acquainted with all the necessary equipment and basic skills needed for scuba diving. After getting certified, then you can go for your scuba dive with an instructor present. Scuba diving can be great fun especially for beginners but it is important not to get carried away the moment you get underwater. As a beginner, start with acclimatizing yourself with your new environment and get used to the various equipment you are carrying. Although you may want to improve as a diver, it is important to recognize the limitations of your abilities underwater as mistakes can usually be unforgiving. Though scuba diving is mostly about exploration, try to always pay attention to your depth and the dangers that lie therein. For example, scuba diving beginners should not exceed a depth of 60 feet as they risk suffering from nitrogen narcosis which can affect their decision making and positional awareness. Before diving, it is vital to practice the skills and knowledge you have acquired from your dive center as it keeps you up to date and refreshed. Also, drills such as regulator recovery, mask clearing and cramp removal should be practiced often so that when required, your actions become instinctive and fluid. You should also have ample time practicing scuba diving equipment to get used to them.